Does toilet paper really need a human face in order to sell? 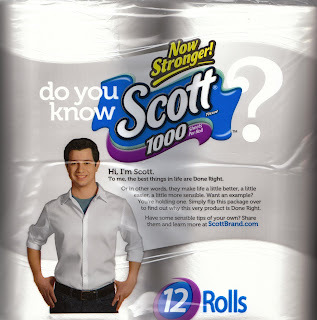 Notice that "Scott" is wearing a white shirt, like he truly represents toilet paper. Are we supposed to want to wipe our asses with him?